event planner and a wedding planner? There are a few key differences between these careers, ranging from the job description to job opportunities. 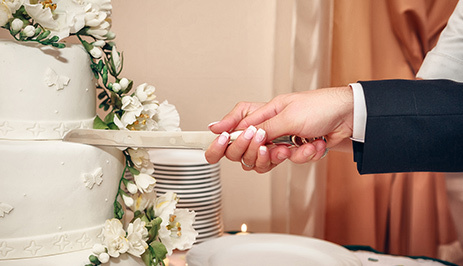 Find out how the careers of an event planner and a wedding planner compare! What Does an Event Planner Do? | What Does a Wedding Planner Do? Event Planning breaks down into two distinct careers: Private Event Planning and Corporate Event Planning. Event planners plan private events and special occasions of any kind. They can choose to work for a company, an agency, or be self-employed. A typical event planner’s portfolio is diverse while still conveying a planning style unique to him or her. As they gain more experience, some event planners choose to specialize in a particular sector of event planning. Pathways into corporate event planning and wedding planning are open for the ambitious planner. Those who want to become corporate event planners will take corporate event management courses. Most corporate planners will work as in-house planners for a corporation. As an integral part of the company, the planner is actively working towards achieving the company’s goals. Every event must make sense with the corporation’s business interests and mission. Corporate planners may further specialize their skills into planning festivals and live events. Both private and corporate event planners do not require a degree or diploma to work in the industry. While it is not necessary, formal training allows planners to become competitive in their local industry. Thus, many choose to earn a certificate in event planning. The corporate event planning industry, in particular, favors those with professional training. 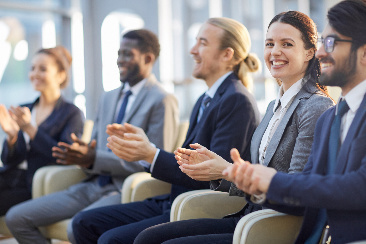 Your certificate shows potential clients that you’re willing to invest in your professional development to deliver the best value and service to them. Employers and/or clients will know that you are qualified and capable of executing various events from beginning to end. Your industry-recognized certification also allows you to negotiate a higher salary and increase your potential to grow within a company. Wedding planning can be a much more involved process compared to private event planning. Wedding planners coordinate wedding ceremonies and receptions. They can either be employed by an established company or are self-employed. The average wedding timeline is a year—a lengthier process involving much more in-depth and personalized details compared to other events. From time to time, planners may also consult and plan pre-wedding events such as engagement and stag-and-doe parties. A career in wedding planning starts with a professional wedding planning certification. Although, like event planning, wedding planners don’t require a degree to work. Wedding planners with an industry-recognized certification show potential clients that they can bring their vision to life. Wedding planning is often considered to be a specialization. Wedding planners will learn many of the same concepts as event planners when it comes to event components, consultation meetings, and networking with vendors, for example. However, they will not learn how to tailor their strategies to events outside of weddings. Wedding clients are more particular about customization, so expect your professional training to provide a larger focus on personalization compared to the average private event. What are the benefits of the Event & Wedding Planning program? QC Event School offers standalone versions of the Event Planning course and the Wedding Planning course. Each course delivers high-quality, focused education that guides you through the event planning process from beginning to end. But if you aren’t sure of the specific types of events you want to plan, don’t limit yourself before you even get started. Taking the combined Event & Wedding Planning course eliminates any overlapping concepts between the two and teaches you how to tailor the planning experience to all clients who come your way. You can grow your qualifications with just one course, and graduate ready to start your career in both the event and wedding industries. Please note that topics in corporate planning will be taught in the Corporate Event Planning course exclusively. 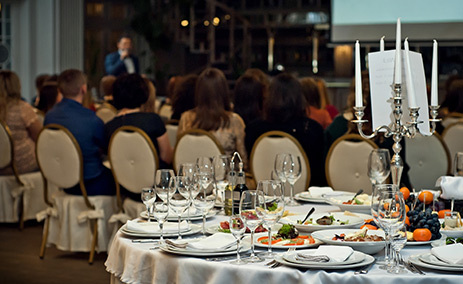 If you’re wondering how to start an event planning business, QC Event School’s foundation courses each come with comprehensive business training. From learning how to write a business plan to preparing for job interviews, you’ll graduate with the knowledge and skills you need to launch a successful career in the industry. Ready to take the first step in an exciting and rewarding career?